While most people are worried about plummeting house prices - one group - the fabulously rich - seems immune to the turmoil. In the final programme of his series, financial guru Alvin Hall explores the very top end of the property market. He visits exclusive properties in two of the world's top spots, New York and London. Among those he meets are the property magnate Donald Trump Jr. and the people looking to sell some of London's most elaborate and expensive homes. 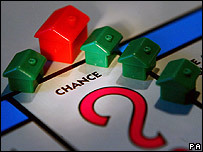 As the credit crunch continues to bite, Alvin asks why prices of high-end homes continue to be so buoyant. Alvin Hall's World of Money: Property was broadcast on BBC Radio 4 on Saturday 16 August at 1204 BST. A longer version of the programme was broadcast on Monday 18 August at 1502 BST.